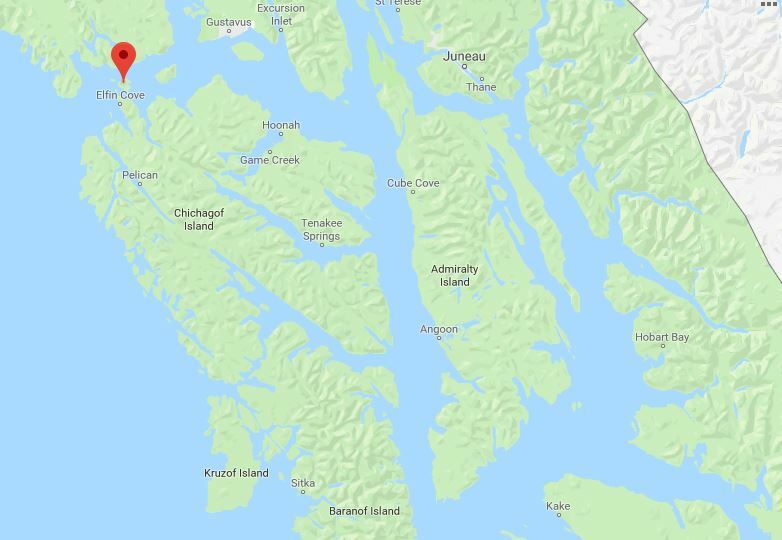 A woman from California is recovering from mild hypothermia after being rescued by the Coast Guard from the Inian Islands near Elfin Cove in Cross Sound late Tuesday night (11-27-18). Infrared radar was used to locate the woman, who had strayed from a former homestead known as the Hobbit Hole. According to the Alaska State Troopers, 20-year old Darcie Nicholson left her cabin at 9 o’clock in the morning on Tuesday for a walk expected to last an hour. Nicholson told other in her party at the Hobbit Hole — now an environmental research institute founded by Stanford doctoral students — that she would be back by 10 a.m. When she failed to return, her friends began searching the woods by foot, and the shoreline by boat. When those search efforts proved unsuccessful, the party notified troopers, who requested the assistance of Coast Guard Air Station Sitka. Using infrared radar, a rescue helicopter located Nicholson shortly before midnight, about 5 miles from the Hobbit Hole. She was disoriented and mildly hypothermic. The Air Station Sitka crew transported her 50 miles southeast to Sitka for further care. Nicholson was reportedly wearing hiking boots and gray sweats, and had no means of communication with her. Lt. Cmdr. Jason Condon, who flew the rescue mission, was pleased that the case had a great outcome, but he added that “it serves as a reminder how easy it is for people to get disoriented in Southeast Alaska’s rugged environment.” Condon urged everyone who ventures outdoors in Alaska to prepare for the elements, and to have a way to communicate if something unexpected happens.